It's not writing off the 779...it's finding the best fit for PR. Boeing themselves had said that the age of the VLA is over and point-to-point flying is now the "thing". Indeed, the trend with airlines nowadays is to downgauge their long-haul aircraft orders, as indicated by news on aviation media. Except that PR now finds the need to reduce their seat capacity to JFK, LHR and YYZ from the 77W. Doubtless their U.S. West Coast hubs will continue to require more capacity than the others but (taking the slot limits at MNL into consideration) that could be addressed by judicious addition of frequency in combination with the A359s. And during the peak season is when a 778 will show its true value and versatility as it could be easily cycled into the nonstop ULH routes while the A359 is sent to augment capacity elsewhere. it's not entirely out of the realm of possibility for them to purchase it in the near future. While they'd likely end up with the 777x since their older 777s are reaching their retirement, and that it would be easier to transfer the crew to 777x, It's also very likely that they might end up with the A35K since Airbus seems to appeal to the Philippines more than Boeing for some reason (I love both though ). It's better if the deliveries occur once the SMC Bulacan Airport and/or SGL, whichever PAL wants to operate replacing MNL (if it is scheduled to close) are complete 5-10 years from now. "However, the entry of ANA could prompt PAL to slow down its rapid international expansion. Sobie noted that PAL’s operations to Australasia, the Middle East and North America have been losing money over the past two years. 'With relatively conservative ANA on board as a new investor, a focus on profitability and rational growth is likely,' he said. PAL has been in the red since 2017, however, the airline is expecting better prospects this year as jet fuel prices ease, Bautista said last Jan. 8." This could be PAL's own project "Sunriser" version. And now for the uncomfortable question...where did my reply to post #100 go For some reason, it disappeared with the switch over to this page, and briefly resurfaced as I began typing this post. Now it's gone again. What gives Though I can reconstruct most of it, I wouldn't want to think there're some tricks afoot. The timing of the HND-MNL and return flight is very interesting. They are basically leaving a 738 on the ground in MNL for 19 hours. Is any maintenance completed in MNL for JL? Any photos of pal's other A321neo? I wonder how their recliner seats may look like.i'm still wishing, they could just stay with the lie flat seats for all their A321neos,as singapore rolled out their regional product, with all-lie flat business class. I'm curious if NH will influence PAL on there domestic strategy as most are operated by GAP. While PAL and GAP have been harmonizing the Passenger experience it can still be a hit or miss at times. Additionally GAP A320 fleet aren't consistent with PAL cabin interiors with half in a duel-class layout that is similar to PAL and the other half in an all-economy layout still with the Airphilexpress interiors. it would be best to retrofit or re-upholster the seats on the A320 and try to match that with there existing A321 or refurbished both with the interior of the A321neo. Does anyone know why there is a PR 77W at LAX now for the last 2 days. It has been parked in the remote stand next to Aviation Blvd at the beginning of Runway 25R. I believe its RP-C7774, but not sure couldn't read the last digit clearly. Struck by lighting. Wing damaged. So far none no photo or illustrations of PAL A321neo (ACF) have been published. While I agree they should installed lie-flat seats like the first batch of A321neo for consistency. However considering the second batch will be mostly used on regional flights. I don't think passenger in J will sleep on a day time flights unless they are connecting from a long-haul flight or the flight is a redeye. Additionally lie-flat seat are heavy and can take up space reducing the number of economy seats so the economic are not that justifiable. It was 7772 that was struck by lightning. 7776 is in Xiamen for checks. 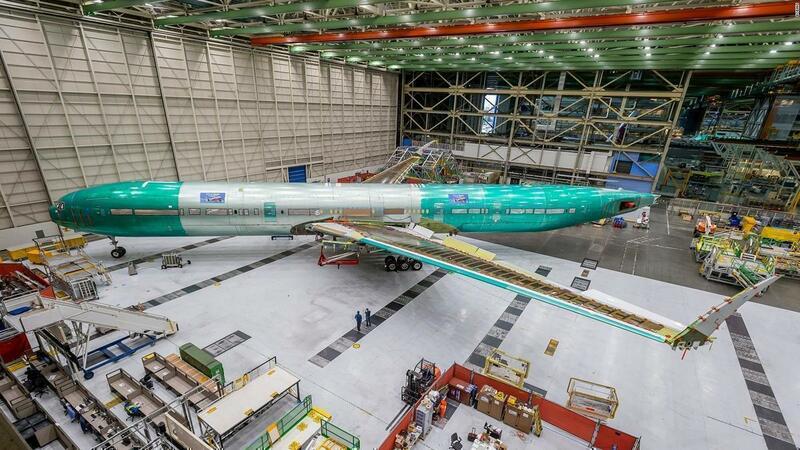 I believe 7776 cabin is also being refurbished. Not sure if it will recived the Vantage XL or the AURA seats (similar to 7778 through 7782) in J or even be fitted with Premium Economy? It would make a great flexible seat. If the flight is under 3 hours, it could be a high-density J product. Any longer, and it has a flatbed option. My personal favorite for PAL A321neo (ACF). Just out of curiosity if PAL those refurbished there Bi-class A333 and replace the Equinox 3D with the Vantage XL. Can they return those seats in exchange for the Celeste or they have to order from Stelia Aerospace? FYI Stelia Aerospace is a subsidiary of Airbus. "Philippine Airlines will not seek out any more strategic investors to take up stakes in the carrier after it sealed a deal for All Nippon Airways parent company ANA Holdings to take a 9.5% stake. Speaking to FlightGlobal in Tokyo, PAL president and chief operating officer Jaime Bautista says that it will now look into securing more financial backing." "Bautista stressed that PAL will not rely on sending passengers to North America via ANA's Tokyo hub, and instead boost nonstop frequencies to its destinations in Canada and the United States. 'We fly non-stop to all these major cities in the US and Canada. The intention is to continue flying the non-stop flights from Manila, and will not pass through Tokyo,' adds Bautista." I wonder if that will hold true with 'possible' future services to secondary destinations? 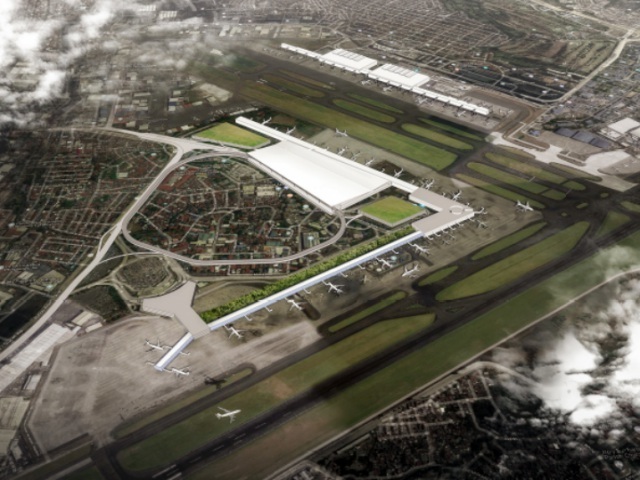 Accordingly, allow me to reword my earlier suggestion to construct the conceptual terminal in #86 at NAIA...and assert that with a few major modifications it could be built on the PVH/Nayong Pilipino site via the Hybrid PPP scheme...expedited by stronger political will, public support, and a lot less subservience to entrenched interests. Anyways a piecemeal hybrid PPP for one terminal isn't the solution. A holistic design & plan of the whole facility is really what's needed. privatizing the O&M will ensure there is a customer-centric focus moving forward that drives profit, satisfaction and hopefully a better airport experience for all stakeholders. I'm a bit confused about what you're proposing? NAIA Consortium has already won OPS (Original Proponent Status) and save for a Swiss Challenge in Q1/Q2 2019 and final NEDA approval, They will be the ones acquiring the O&M contract and redeveloping NAIA starting in Fall 2019. Precisely...nothing is final yet. Recall that in previous releases it was stressed that no new terminal would be built. I wonder how that will bring immediate relief to the acute terminal capacity problem at NAIA? They are doing it at CRK...no reason it cannot be done in MNL. The revised proposal already covers the more basic, general requirements...the private O&M shall see to it that the upgrades produce the desired results...not hope that those translate into a better airport experience. That is more like a proponent-focused approach. "MANILA, Philippines — The United Kingdom (UK) has removed south Cebu from its list of areas to be avoided by its citizens when travelling to the Philippines due to terror threats. 'The Foreign and Commonwealth Office (FCO) no longer advises against all but essential travel to south Cebu,' the UK embassy in Manila said in a Twitter post yesterday." Wouldn't do to have Routes Asia 2019 in Cebu with that negative travel advisory in force. * Flights now resume April 16, 2019, as opposed to March 31. * Scheduled times were adjusted to better connect to the rest of the PR network. Previously, MNL-DEL/DEL-MNL had morning/afternoon departures; now they have evening/overnight departures instead. Compare the original schedule to the new one. The consortium is seeking to rehabilitate, upgrade, expand, operate and maintain NAIA over a 15-year period. It aims to boost NAIA’s capacity from the current 30.5 million annual passengers to 47 million in two years and 65 million in four years. But the O&M covers all existing terminals not just the new build. The contract means the NLAC will be responsible for the development of Clark International as the major gateway to improve connectivity between Central and North Luzon, the rest of the Philippines, and the world. It will also oversee the operations and maintenance of the existing and new terminal, which is scheduled to become operational by 2021. The government has financed the new terminal, but now that they bid out the O&M, North Luzon Airport Corp. will carry more of the financial burden for expansion. From a business point of view, I would hope if I signed a 25 year contract to manage an airport, I would also be managing all future terminal builds. Considering the present government has only started to fix the mess of previous DOTC secretary Jun Abaya's strategy of bidding project components seperately (LRT-2 Extension for example) I seriously doubt the contract doesn't cover the entire O&M of the airport. .
What I meant about improving the airport experience is exactly what you said, hoping the upgrades produce the desired results. But business has more of a responsibility to improve and offer a better airport experience if It has the data to tell them it can make more money. There are many reasons why corporations are investing in digital transformation initatives and user experience. It's because data driven, human-centred products and experiences can ultimately help find new revenue streams and create renewed brand loyalty and equity. Is Pan Pacific the future rival of PAL?^^ is that a full service carrier?neither cabin photos or videos are available online.not much going on.it would be pleasing,if they change their livery,its like the old livery of pal. GlobaltravelerTV is looking out for german to english translators. Unfortunetly my english is so bad! Considering that their main target seems to be Koreans, highly doubt so. The travel advisory has now been lifted. Where did you see this? To my recollection, only the Manila Bay runway/terminal got axed. Part of the revised deal sees them only maximizing the NAIA complex with additional terminal space and a people mover. "In the Naia, whether it will be the seven taipans or the government, we will finish the improvements and renovation there." Tugade said, though, that the government work on the Naia will be more on the "improvement of facilities in terminals 1, 2, 3, and 4." Not a new terminal. Not a new runway. That may no longer be part of the scope of the revised proposal, given the big downward adjustment in cost. Hence my comment above about "a few major modifications" to adapt the conceptual design to the PVH/Nayong Pilipino site. And nowhere did I say that the "conceptual terminal" which the Government could build at NAIA wouldn't be covered by an amendment to the O&M contract. Indeed the concessionaire should benefit from any added scope brought about by a change to his contract. The government has financed the new terminal, but now that they bid out the O&M, North Luzon Airport Corp. will carry more of the financial burden for expansion. From a business point of view, I would hope if I signed a 25 year contract to manage an airport, I would also be managing all future terminal builds. I doubt the concessionaire would carry out any further expansion without being compensated for it, unless it was expressly specified in their contract. The Government had purposely separated the Clark construction contract from the O&M contract (purportedly) to prevent a monopoly for the project. But business has more of a responsibility to improve and offer a better airport experience if It has the data to tell them it can make more money. The incentive has to come from the proponent's due diligence work on the project. You could hope to get future O&Ms, but it is not guaranteed. Wasn't it clear in the last part of my linked quote? PAL is now eyeing to revive its flights to/from BGO after almost 2 decades. At least from SGL or MNL would be good or even from VisMin, depending on the commercial viability. It looks like they may revive flights to BAG (Baguio but certainly not to BGO (Bergen, Norway). Yup, I stand corrected. I really forgot the IATA code of Loakan, lol. When did PAL last have operational Fokker planes? Similarly, ANA president and chief executive Yuji Hirako stressed that the two airlines aim to establish a "very firm, solid, and robust bilateral relationship" before there could be any discussions of PAL joining ANA in the Star Alliance. Bautista indicated that PAL is still taking a broad view on which of the global alliances it could look to join. ANA will never give PAL B787 or the A359/35k for free.ANA would not even refurbish PALs other A330s. for some people thinking about this..LOL, they won't!the refurbishments will only come from the money lucio tan/passengers. ANA will not spend billions or even millions for new aircrafts for PAL!! In the long run, Tan said PAL may not have a choice but to do an offering because its minimum public float may fall below 10 percent especially if ANA increases its stake in the company. “If the public float of PAL decreases to below 10 percent as required by the Securities and Exchange Commission, they would really have to do a re-IPO (initial public offering) of PAL shares to comply with the minimum public float requirement,” Tan said. In industry parlance, a re-IPO is technically a follow-on offering on an already listed stock. However, given the low free float and low trading liquidity, a listed firm can opt to market the share offering as a re-IPO. The objectives in doing a re-IPO are usually to increase investor interest in a stock by increasing liquidity and to raise capital. If I recall isn't PAL Q300 already retired? Although its possible that they can re-activated from storage if they are still airworthy and not scrapped like one of the older Q400. However, the A340 is also still on the roster even though PAL had accelerated its withdrawal from service. (German) Top 15 unsafe airlines: Garuda Indonesia is again awarded as least safe airline by JACDEC in the world ranked at 100.congrats! Rank 95 is Cebu Pacific, one of the least safe airlines. Philippine Airlines is out of the list. Oh shoot, totally missed that. Sorry! The tribulations at Airbus must have been a factor in it. Anyway, I hope they could hold off until the RR Ultrafan is ready. Exercising options for six aircraft is pretty conservative as far as capex goes. Even if those six aircraft are widebodies. True. But I didn't expect PR to jump to the next bigger size just yet, as the blog seemed to suggest considering their 77Ws are quite young. Perhaps the frame which was struck by lightning has more serious damage and another could be due for a major refurbishment as posters kept complaining about I know that's stretching it out, but thought PR might let their leases expire rather than wait for the next expensive checks, and pick up a couple of A35Ks becoming available, for starters. Update 7772 is now back at MNL it arrived last Feb 14. Since it managed to cross the pacific ocean means that its damaged is likely repairable. Although I agree that PAL will likely let there leases expired then keeping them for say a further 20 or 15 years. Additionally 7776 is now in revenue service again and is currently flying to YVR as PR116. Quite curious if they did update cabin interior and repaced the old recaro J seats with the Zodiac AURA? Update 7772 is now back at MNL it arrived last Feb 14. Since it managed to cross the pacific ocean means that its damaged is likely repairable. Although I agree that PAL will likely let there leases expired then keeping them for say a further 20 or 15 years. They must have run up a substantial repair and parking bill at LAX...I wonder if PR's "act of God" insurance clause covers those. Additionally 7776 is now in revenue service again and is currently flying to YVR as PR116. Quite curious if they did update cabin interior and repaced the old recaro J seats with the Zodiac AURA? My last ride on it was in 2015...agree that the interior may need a bit of sprucing up. There are two photos with the Tagalog version of this article showing the progress of work at T2 but both do not appear here. Pals A350 Lovebus.when will she arrive in manila? Currently on its way to Manila, its been tracked intermittently on FR24. There 6th A350 will also have the lovebus sticker. Would like to see more collabs with famous singers/designers.catriona is a good one. I was hoping for chanel by karl lagerfeld before he died, to do the amenity kits in business,or to design a new set of pjs.but that was wishful thinking.haha! That typface/font used on the tagline is very nice. Nice shot...though they could have cropped the upper half of the picture.